Please note: I saw Salon Teatteri's production on Jekyll & Hyde for free in exchange of writing an article about the musical's history for the production's souvenir programme. If you visit Salo this fall, go to the theatre and buy ten of those. We're so lucky here in Finland! 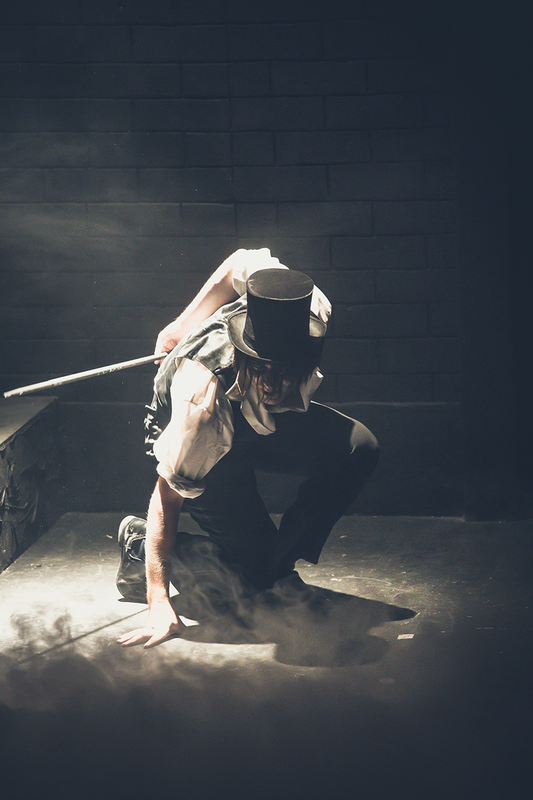 During the last four years, we've had not one, not two, but now three fine productions of the musical Jekyll & Hyde, all within a 300 km radius. Sure, I doubt that most people see this as an especially exciting series of events – but for me, a borderline obsessive Jekyll & Hyde fan, it's a huge thrill. So let's see what Salon Teatteri's autumn 2017 production has to offer. Salon Teatteri is an amateur theatre (did you know that the word amateur is originally French and means lover of? What a perfect word!) with a tiny performance space, so it's quite a feat they've staged a musical as big as this one. But no need to worry: it's an impressive show all the way through. I was surprised to find out the small space actually works in the favour of the production. You can't help feeling tense when there's a murder taking place a couple of meters in front of you. Pauliina Salonius's direction emphasises the dark and violent parts of the story. Hyde's mistreatment of Lucy and the murder at the end of the first act felt so close and personal I got a little knot in my stomach. I saw the show with lots of friends and I know some of them found the violence a bit too graphic. I see where they're coming from, the song Alive especially has some pretty gruesome moments. Personally, though, I think the mood is mostly intense in a good way. The set design (by Riku Suvitie) features lots of mirrors and a laboratory that's situated on a sort of a loft. Throw that together with some stark lighting (by Timo A. Aalto) and lots of smoke and you get a deliciously creepy atmosphere. I also rather like the costumes (by Taija Jokilehto). It's nice how Emma gets to wear a sensible, black dress instead of the dainty feminine things so many productions give her. She looks almost uncomfortable in her fancy engagement party dress, and I think that makes sense – it is after all implied that neither Jekyll or Emma feel at home in the high society. Another nice thing for me is that there are two Finnish translations of this musical, and in Salo, they're using the one that was also used in the first production of J&H I ever saw (by Tuomas Parkkinen, Jussi Vahvaselkä and Kristina Vahvaselkä). It's feels good, somehow, to hear those same lyrics and words again. I'm not claiming it's the best possible translation of the musical, but it's comfortably familiar. In Salo, the musical's titular characters are played by Peter Nyberg. His Jekyll is short-tempered but seems genuinely excited about his experiment. His Hyde, then, is super sadistic, and Jekyll pretty much throws in the towel as soon as Hyde is let loose – he gets addicted to being Hyde fast. It becomes clear early that he's fighting a losing battle, whatever optimism he had in the first act is replaced with desperation. All in all, you can tell Nyberg has a good time playing the roles, and he sings the part just right. 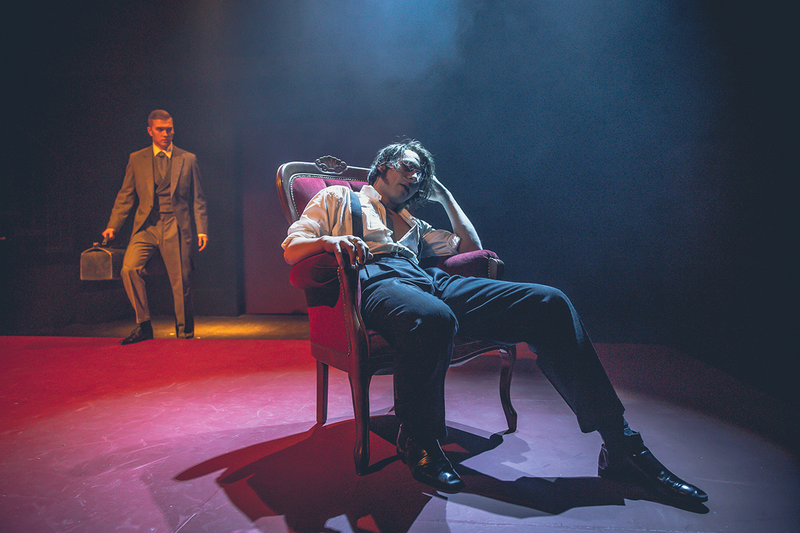 I like how this production makes Jekyll rather young (Nyberg is born in 1993). Jekyll/Hyde is often played by men approaching middle age, and in the original novel, Jekyll is in his 50s. But, as we discussed with a friend afterwards, I think it makes more sense to make him younger in the musical. A middle-aged guy should have enough life experience to know better than to test the formula on himself. But if it's someone young and rash who probably got his doctorate two weeks ago... The whole affair suddely feels a bit more believable. There are two alternating Lucys and Emmas in this production. I saw Rosita Ahlfors as Lucy and Laura Flemming as Emma. Ahlfors's Lucy feels very earnest and rather naïve. Therefore, she is an easy target for Hyde to channel all his destructive energy against, hurting her just as he wants. Maybe it's no wonder, since Flemming's Emma is level-headed with a calm precence. She seems like a person who will shut you up in a fight, but do it in such a gentle manner that you won't even get the satisfaction of getting a rise out of her. 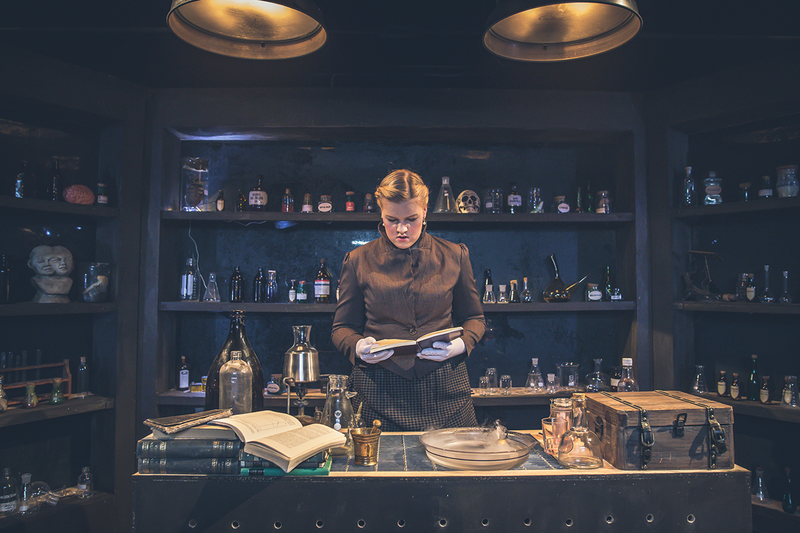 There is no way Jekyll – or Hyde, for that matter – could boss her around. However, as I've mentioned before, my favourite character in this story is Jekyll's lawyer and best friend Utterson. Teemu Veikkolainen doesn't disappoint. From his first line, I knew I was going to enjoy the performance. He's pointedly calm and proper, in contrast to Jekyll's temper. He seems like someone you would trust in a tight spot, and with your legal documents, but there's also a dash of humour and a pinch of forbidden desires thrown in the mix. I like him! The whole ensemble works well together. Aki-Matti Kallio's Simon Stride stuck out to me especially, he is a fun highlight. The production cuts some of the character's already meagre material, but Kallio's pompous Stride steals the show nevertheless. All in all, I enjoyed this production a lot. It's not perfect (for example, the music – the orchestration is based on pre-recorded tracks that, in my opinion, are often way too slow. I simply prefer orchestrations with a faster tempo). But, as a whole, it's an entertaining, creepy-in-a-good-way show. I'm going back at least once. Finland! Indeed, what a fantastic place for a Jekyll & Hyde fan to live. Photos by Mika Nurmi / Studio X.
P.S. Suomenkieliset lukijat: tästä linkistä voitte kuunnella Musikaalimatkassa-podcastimme jakson, jossa Peter Nyberg kertoo roolityöstään. Ja lukekaa myös Teatterikärpäsen puraisuja -blogin arvostelu esityksestä! Kyllä, kyllä, kyllä. Oli kyllä oivallinen versio, tämäkin. Pidin myös siitä, että Jekyll oli selkeästi nuori mies ja siten pahan vieteltävissä. Jotenkin se addiktion hulluus oli myös uskottavampaa. Ja mainio oli myös teidän podcast-jakso tästä, kiitos siitä!